Working with the Bolivian Government, the ADI tracked down eight unlawful circuses so that twenty-five lions could be rescued and relocated. This was no easy task. The animals weren’t simply handed over and taken to a nearby location. 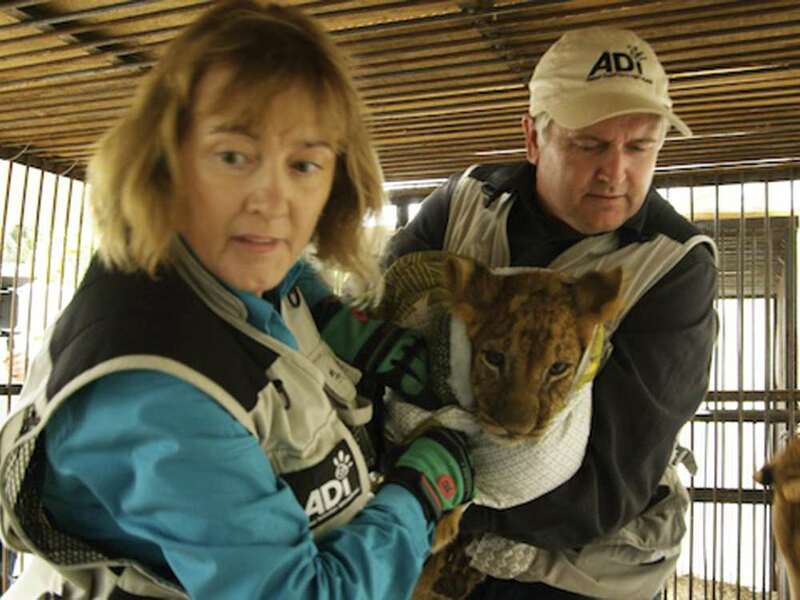 The ADI had to carefully plan their rescue actions and move the animals halfway across the world by airfreight. By using handheld cameras and unscripted narratives, the film provides a sense of realism and urgency as the group essentially plays “law enforcers.” In most situations, the circus owners are not cooperative, which makes for an arena of raw emotions on both sides of the issue. There’s an insightful appreciation for the limited use of the standard talking heads, as we are privy to informational meetings with Jan Creamer and her ADI group. These meetings provide us with the key information presented on banning animals from circuses and the need for countries to reexamine this position. The film unfolds effectively in this approach, pulling you in just enough to care, and encouraging you to want to see how the problem is solved. The end result is the icing on the cake as we view the big cats in a wide-open animal refuge in Colorado in which their lives are drastically changed for the better. The film quotes Gandhi, providing ADI’s resilient viewpoint of animals: “The greatness of a nation and its moral progress can be judged by the way its animals are treated.” If you enjoyed Born Free, then you’ll no doubt champion this film. Bottom Line: Important documentary that presents reasons against using animals in circuses. Some scenes of cruelty are tough to watch. Seeing the animals in a sanctuary at the end of the film is uplifting. *This review is dedicated to Rosemarie Frey, my friend whom I admire greatly. She’s an animal enthusiast and also an artist who travels to Africa to enjoy and photograph animals in their natural environment. 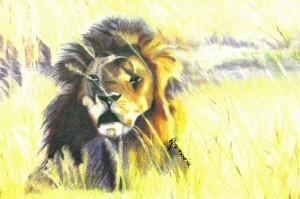 One of her original colored pencil drawings appears below. Artwork by Rosemarie Frey. The inspiration was from a photo she took while in Africa.